Tibet Telegraph: Is Dharamshala Safe for Tibetans? No government or people on earth have ever helped exile Tibetans more than the government and people of India have done for the past six decades. They have helped Tibetans humanitarianly, educationally, economically, culturally, spiritually and even politically to a point. Tibetans all over the world will forever remain indebted to their wisdom and compassion in action. While the Dalai Lama is given great care and protection by the Indian Government, the Central Tibetan Administration (CTA) should now make stabilising the status of the Tibetans in India a priority instead of going to functions and getting all the aid money for their families while thousands of poor illiterate Tibetans are at all kinds of risks. For example, visit ICT website and see how much fat cats like Gyari Lodoe have been doing for the restoration of Tibetan dignity and materialisation of democratic freedoms--their stated mission for more than 25 years. Now after 56 years of hanging in a legal limbo, it’s time for a change. The harsh new reality for Tibetans in India today is the deteriorating social conditions that threaten a precious relationship - that of the Tibetan refugees and their Indian hosts. The focus here is Dharamshala and a way out with Indian citizenship on a new realistic Tibetan base in South India. Small and dirty conditions of Dharamshala, illustrate how fragile life is for Tibetans without citizenship. Last year in Dharamshala, a Tibetan man in his 30s was thrown off from a third story building by a half dozen local Gaddi men in an altercation. Gaddis are one of the Indian tribal communities residing in Dharamsala, Himachal Pradesh in north India. The man was rendered paralyzed below the waist for life but the culprits are roaming free. A Tibetan woman on a late night bus, alone as she was nearing her destination, lower Dharamsala, was brutally assaulted, raped and robbed and dumped on the roadside by the Gaddi bus driver and the conductor. She was hospitalized for a week at the Tibetan Delek hospital. Many Tibetan nuns hire cabs late night to get to their nunnery. The cabs are run by Gaddi drivers. Often nuns get molested and raped by these Gaddi taxi drivers on their way to Dolma Ling Nunnery near Norbulingka, a few kilometers away from the headquarters of CTA. A couple of weeks ago, some Tibetan tenants (new arrivals from Tibet) were assaulted on their heads with pots and pans by their Gaddi landlord and his men for failing to pay the room rent on time. Several Tibetan women from Manali Regional Tibetan Women Association (RTWA) were repeatedly punched and kicked by the Gaddi restaurant owners (males) when they complained that they were overcharged for the lunch they ate at a bus stop. Since then they have refused to eat at the restaurant and carry their own lunch from home on their way to Delhi to participate in the Free Tibet demonstrations. A 6’2’’ NGO friend, weighing 280lbs was threatened with a severe whipping by a skinny 12 year old Gaddi boy for parking his car on the roadside near his store in lower Dharamsala, and my friend said he could do nothing about it because if he yelled back, scores of idle Gaddi onlookers were already closing in on him with the fire of hatred raging in their eyes, itching to give him an unfair, aggravated mob assault for which there is no legal consequence as the mob would coolly melt away into the crowd if the police showed up at all and leave him for dead. And it doesn’t end there. I too have encountered dozens of very unpleasant experiences at the hands of the Gaddi mobs. Once a Gaddi mob of men, women and children subjected me to an aggravated assault for breaking a twig from a small skinny dead eucalyptus tree lying near a vertical rock on which I was painting a 20 feet tall Free Tibet slogan that could be seen from miles away. I was thrown around like a piece of rag and I am not a midget by Tibetan or Asian standard. The mob numbered around at least two dozen men from the nearby local village. A Tibetan boy around 8 years old was sitting on his seat in a bus near McLeod Ganj, perhaps getting off at Forsyth Ganj just 2 km away. A Gaddi man around 40 years old hopped on the bus and began to unseat the boy by cursing and intimidation just as the bus started moving. This failed to work. The boy stood firm and resolute. The man tried to yank the little boy out of his seat. The boy resisted. The man then slapped the boy repeatedly on his face and that's when I jumped in and said enough is enough. Obviously, a fight ensued between the two of us, and in the next instant the bus stopped, and a dozen Gaddi passengers were all over me and I was once again mobbed unconscious and dumped along the roadside. As much as the physical beatings were unbearably painful and dehumanizing, I was disgusted more by the sheer ethnic prejudice, racism and hatred spewing out of people whom I had never ever personally seen before! Obviously, there was no room for personal grudges. We didn’t even know each other. Their famous curse reserved especially for us Tibetans still echoes in my ears, “Lambayway! Mayawa judey khaneyway!” which translates into “You Tibetan mother fuckers who deserve a beating with shoes!” This curse is a prelude to a severe mob thrashing. As you enter the main gate of the Tibetan Administration Secretariat in Gangkyi, it stinks of heavy urine. If you are looking for the Tibetan cabinet building and the administrative departments, you simply can’t miss it. The stink will confirm where you are. A bunch of Gaddi taxi drivers created an illegal taxi stand on the CTA property near the gate and they have turned it into an open urinal. Often they play cricket on the road breaking the windows of the CTA office buildings with the cricket balls. They eat at the small roadside tea cafe nearby and throw all the trash on the CTA turf. They sexually harass Tibetan female staff walking home alone after work. They scream, drink and break the bottles on the CTA compound. Not one cabinet minister or parliamentarian or CTA staff-- who usually acts so brave and tough when it comes to fighting among ourselves over trivial matters-- got the guts to complain and drive them off the property. Playing it down is all they can do. The reader can well imagine the fear under which every day Tibetans exist. Communalism in essence is nothing short of terrorism albeit it comes in a different form. Many of these Gaddi cab drivers have sold their properties mainly small pieces of land to the Indian businessmen who have migrated from the plains, and now with all their money spent, uneducated and business not doing well, they vent all their frustration on Tibetans who they find easy targets. The Tibetan status of statelessness and “refugee” is taken advantage of to the point that they get away with even murder. Years ago, two of my soldier friends were beaten, murdered and thrown into a river by a mob of Gaddi villagers. Their crime was saying Namaste (greetings) to a pretty local woman but the murderers are free as innocents. 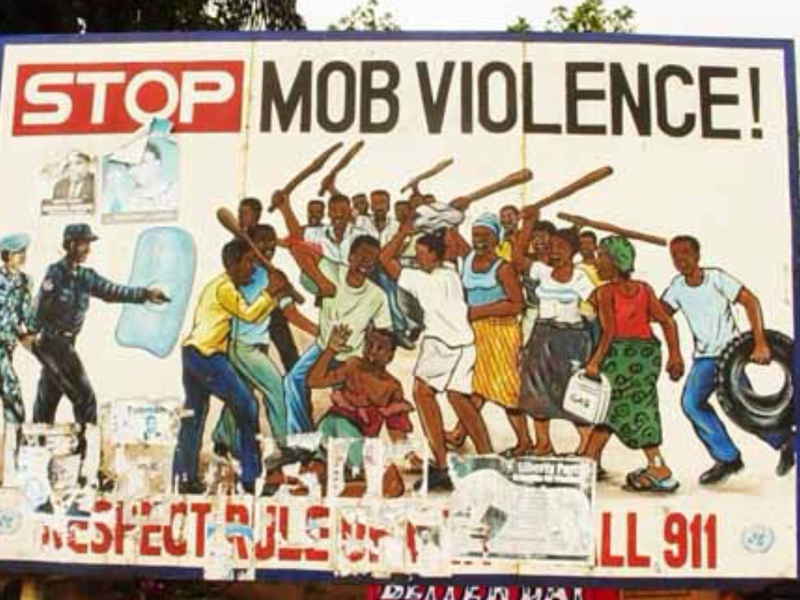 Call it mob violence or ethnic persecution or hate crime, it has been going on and off since the late 80s. CTA! We are tired of the racial hatred, envy and jealousy of the local Gaddis. We are sick of being insulted, humiliated, molested, assaulted, and bullied by Gaddi mobs everyday in restaurants, stores, schools, work place, hospitals, streets, buses, cabs and homes simply because we are stateless. We are sick of CTA’s silence on this. We are sick of being silenced on this ethnic persecution that is violating our basic human rights. We don't want to be told to act timidly and submissively simply because we are “refugees” or Buddhists or Tibetans. We are human beings first! We don’t want to be reminded of the loss of our country – a perfect excuse for the Gaddis to trample upon us in any way they want any time any where. Independence comes and goes but humanity, under all circumstances, must remain. Humble and peaceful we are, arrogant and violent we are not. We have no communal clashes with the Brahmins, Jats, Sikhs and Rajput communities in Dharamsala. In any case, if the same persecution regardless of whether the nature is political or racial continues in any place in exile, we have no choice but to leave for a better safer place to live in peace, a place where we can be stateless and yet enjoy basic human dignity. Read “Dharamsala Days and Dharamsala Nights” by McDonald and you will get a good idea of what Tibetans have been going through racially in Dharamshala. I am not complaining here about the occasional one-on-one violence which is although uncalled for is sometimes understandable, living in a big human society that is stressed out by competition for scant resources in order to survive. What is cowardly is the frequent sight of a dozen local Gaddi men bashing a single unarmed Tibetan man or woman in the streets of Lower Dharamsala or Mcleod Ganj or Manali as if we looted their entire generational family wealth. We Tibetans are also trying to survive like every one else. Disgusting is an understatement to describe their sheer exploitation of the protection that comes with tribal mob bashing opportunity. However, Tibetans themselves suffer a terribly wrong notion that fighting back a “host” who urinates on their heads is ungrateful and shameful. This must be corrected. Self defense is a universal right. How it ends up in the court is another story. Nevertheless, not doing anything about it is not reducing the price in any way either. Sweeping it under the rug only emboldens the perpetrators and keeps our people and the international community in the dark. It strips us of basic human dignity. Going “OMG or Om Money Pay Me Hung every time a Tibetan is brutalized by a Gaddi mob in front of your eyes won’t do. It is too passive to say the least. What is needed is action with a plan A followed by plan B. The fact that Dharamsala is on world tourism map is largely due to the presence of the Tibetan populace and its culture. The first step is to muster enough guts to refuse being the economic bait for the local traders for which the reward has been nothing but physical, verbal, mental, emotional and racial abuses on everyday basis. To make matters worse, Dharamsala is a steep hilly forested terrain where there is a lack of flat open land space. This adds to the communal tension. On top of the town being tiny with narrow roads and even narrower streets, day to day physical interaction with the huge Gaddi populace is inevitable and herein lies one of the major correlations if not altogether the direct causes for communal frictions where Tibetans being the “guests” end up at the receiving end, often also at the mercy of the corrupt inefficient racist local criminal justice system that is in cahoots with the Gaddi mobs. Forget fighting about Umey Lam and Rangzen, the stateless Tibetans in India are at risk and need to get citizenship first. Remaining “refugees” for mere symbolic purposes or sentimental value is the most stupid argument one can ever make. When CTA officials have passports and secure homes, why won’t the CTA do more to help everyday Tibetans in India get citizenship, which would give them the confidence, rights, voting leverage, legal protection, land and business ownership? Speaker Penpa Tsering said recently that the Dalai Lama once said that if worst came to worst he was confident that he could find a few countries that would take care of his personal welfare but was concerned about what would happen to the future of the exile Tibetans if Tibet issue is not resolved any time soon. The answer lies in obtaining Indian citizenship. This idea terrifies China to the bone. CCP can’t even stand the Dalai Lama calling himself the son of India. As an Indian citizen the Dalai Lama’s influence on the people of India toward the Tibet issue can multiply exponentially. Nowhere does it state in the UN charter that stateless people adopting another country automatically ceases their right to fight for their home country cause.CTA’s support must come out openly, actively and unconditionally. Even the Dalai Lama has told some Indian officials he is for it! HH has been in discussion with high level Indian officials who support granting citizenship to Tibetan refugees. Time to move out of “Pango Refugee Mentality” has come! Time to ensure a secure base in the lush towering Western Ghats with citizenship has come! Time to erect a fenced “Tibet City” far away from the locals has indeed arrived! In my next post, I will show the reader how. Until then, stay alert! NOTE-- Mila Rangzen isis a US military veteran and a New York based Immigration Translator. I never knew that the intensity of the violence and hatred the local tribe of Dharamsala had for Tibetans was this much! You are rightful in stating that most of the Tibetans choose to withdraw from complaining to the police and erecting a legal stand. Men choose to take it in their stride and those who are weak and alone suffer the brunt of the local populace who are heavily misguided. Not only in Dhasa but in many parts of India where Tibetan people reside, we are greeted with hostility regardless of the fact that we ever frequently take part in criminal operations. Local Indians find us meek and they have the pre-conception that there will be no authority powerful enough to support us and to persecute the perpetrators. I worry for the safety of my brothers and sisters and its time we contemplate about a safer environment for ourselves in one way or another. Listen up CTA! I lived in Dharamsala, tibetan people are arrogant with local people. They are not grateful to them and tibetan have a bad behaviour with west women. Then don't be surprise violence happen now. Just goes to reaffirm my belief that the reasons CTA gives for discouraging Tibetans from obtaining Indian citizenship is entirely too insensible seeing as to how the ordinary Tibetan, especially the youth are deprived of opportunities in education and at the workplace due to our statelessnesss. The communal/ethnic clashes are partly perhaps because of the amazing resourcefulness of us Tibetans. No matter where we are or what kind of conditions we are up against, we always manage to survive and survive well, and that doesn't sit well with the local population all over India (not just in dharamsala) who have been living on that land for far longer but haven't been able to do as well as us. However, we are also in the wrong in the way we behave towards the Gaddis. I think it is not so much a bending of heads in front of a bully as the sheer flashiness that Tibetans are used to. And I do not agree with Mila Rangzen when you say that Tibetans are not arrogant. Believe me, having lived in dharamsala for the last 18 years that I was growing up I have seen arrogance aplenty on the part of our youngsters who are quick to anger even while they are wrong, cannot deal peacefully or establish healthy relationships with Indians and many a times cause altercations to start or escalate (like throwing the first punch). Most importantly, it is the deep rooted racism that pervades every society, even our own although we would like to believe that we are very "open minded" and not at all racist. Hell, we even discriminate between "Sanjor" (as Tibetans born/or raised in India call newly arrived immigrants from Tibet) and "Shija" people (as the newly arrived call us born in India) within our own community. How can we deny that we do have an aversion to the gyakars? And of course, the Gaddis are racist towards Tibetans too. Therein lies the base of all the communal problems and unless we change the way we look at the other community or the other race and make some genuine efforts to form at least healthy relationships with the locals, I don't think any official intervention on CTA's part or Indian citizenship is going to change the hatred in anyone's heart. CTA of course should be brave enough and step up against the taxi walas in gangkyi if they are encroaching on CTA property, we should of course file FIRs and pursue in the fight for legal justice if anyone has been molested or manhandled or raped. But that would just be a surface measure of prevention and protection. Gandhi said It is sin to bully but it is more sin to tolerate a bully. But Tibetan has - to put it in Bollywood words" Sansar ka mahatma baana taika liya he" - Tibetan are Home-Tiger but cat-outside. It is not only the Gadhis but also Nepalese who think nothing of bullying Tibetan. If Tibetan can bully anyone it is fellow Tibetan. Look at what CTA is doing to people who follow Phaphong kha Rinpoche's lineage and rely on protector Dorje shugden. Recently one can see even Kaloen tripa and Speaker Penpa Tsering speaking very badly about such a highly realized and attained Lama as Phabong kha and Kyabje Trichang Rinpoche whose kindness to Tibetan has been monumental. Now a days Tibetan community treat Tri chang Rinpoche and people who rely on Dharman Protector Dorje Shugden as Pariah. In the words of Samdhong Rinpoche they are worst than Chinese CCP! The Name list of Tibetan who protest during HH the Dalai Lama visit are published - as to encourage some Thick headed fanatic to exterminate them. So is name of Gyalkhab Rangzen by Tibet Office USA on their facebook. I truly feel so frustrated with our situation today. But I can do nothing. I do pray earnestly that the suffering of Tibetan in Tibet do not go in vain. May there rise a infallible leader among Tibetan in Tibet!! No nation has won its Freedom by remaining in exile. Bhoe kyi Bhoe mi Gyal lo!!! Dharamshala was in the past called Bhagsu. Prior to the entry of the British, the city and the encompassing ranges were led by Kangra rulers of Katoch tradition.